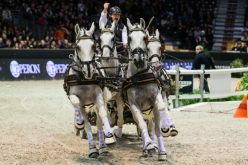 The renowned Gothenburg Horse Show in Sweden will play host this weekend to the Final of the 16th season of the FEI World Cup™ Driving, one of the highlights on the international equestrian calendar, for the first time again since 2009. 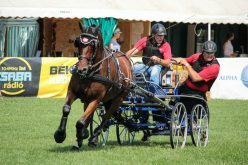 Six of the world’s best four-in-hand drivers representing five nations have earned their tickets to what is set to be a breath-taking event. The qualification phase of the series took place over eight legs held between November 2016 and February 2017. The top favourites all have special memories of Gothenburg, which hosted the Final for the first six years of the World Cup from 2002 – 2007 and again in 2009. Title defender IJsbrand Chardon (NED), won the World Cup title for the first time in his career in Gothenburg 2005. At that time he was tied on points with the legendary Michael Freund (GER). Chardon won the title again the following year in Gothenburg and beat Boyd Exell in an exciting finale in Bordeaux in 2016. 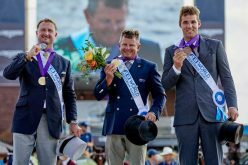 Boyd’s first coronation as FEI World Cup™ Champion was also in Gothenburg, in the year 2009. The Netherlands based Australian driver has won this prestigious title six times and is sharpening his knives to recapture the World Cup title. Third candidate to win the Final is Koos de Ronde (NED) who competed three times before in Gothenburg, taking home the bronze in 2009. 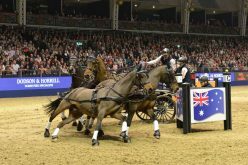 Reigning World Four-in-Hand Driving champion Boyd Exell won the legs in Stockholm (SWE), Geneva (SUI), London Olympia (GBR), Leipzig (GER) and Bordeaux (FRA). The only competition he did not compete in this season was Budapest (HUN). Exell got wild cards for London Olympia (GBR), Mechelen (BEL) and Leipzig (GER) and competed for points at the other events. 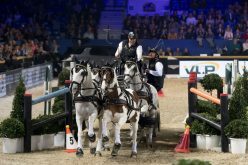 In Stuttgart and Mechelen, Boyd was beaten by IJsbrand Chardon and at the other competitions; the differences between the top drivers were very close, which will guarantee excitement in the Scandinavium Arena. Boyd has won three out of his four events for points and will be last to start in Competition 1 of the Final on Saturday afternoon. Title defender IJsbrand Chardon won the Legs in Stuttgart and Mechelen and finished third in Leipzig and Bordeaux. The four-times World Champion experienced some ups and downs this season but is well known for his strong mentality and professionalism. Chardon will try to put the pressure on his opponents in order to be able to take home the World Cup title again. Winner of the 2013 Final, Koos de Ronde won his first competition of the season in Budapest, finished second behind Exell in London Olympia and Bordeaux and lined up fourth in Mechelen and Leipzig. Koos and IJsbrand are tied on the second place in the final standings with 27 points, so there will be a draw done to determine who will be number 2 and who will be number 3, as the starting order of the competition 1 at the Final is the reverse order of the standings. Strong finalists Jozsef Dobrovitz (HUN) finished second in Stockholm and Budapest and secured his ticket to the Final with the third place at London Olympia. It is the first time since 2013 that Dobrovitz has qualified for the Final. Jérôme Voutaz (SUI) was still recovering from his injury he got in Donaueschingen (GER) last September, so he had a slow start of the World Cup season. He lined up third in Mechelen and was on fire and breathing in Boyd’s neck in Leipzig, where he won his starting place for the Final for the second time in a row. Georg von Stein (GER) was the last driver to qualify for the Final. In Geneva he was the runner up behind Exell and in London Olympia he finished fourth. 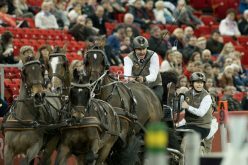 The wild card for the FEI World Cup™ Driving Final 2017 is allocated to Swedish driver Fredrik Persson. Persson competed with a wild card in Stockholm in November, where finished in fifth place. 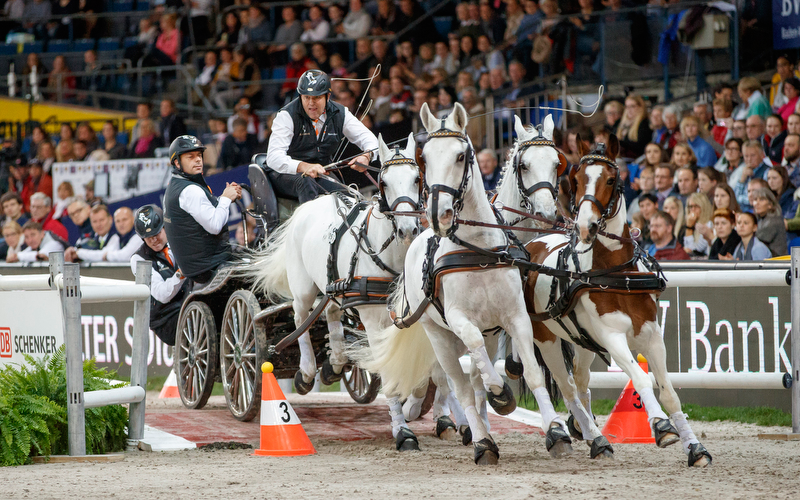 In 2006 and 2009, Fredrik also competed in the FEI World Cup™ Driving Finals in Gothenburg. The Course Designer is Level 4 Course Designer Johan Jacobs (NED). 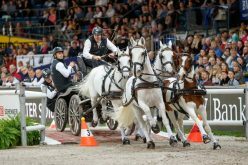 Jacobs has been the Course Designer at the FEI World Cup™ Driving legs in Geneva and London Olympia for many years and it will be his first time as Course Designer in the Final. Honorary FEI Bureau member, Jack Pemberton (CAN), has generously donated the trophy, which is awarded to the winner of the FEI World Cup™ Driving Final. The first Jack Pemberton trophy was presented to Australia’s Boyd Exell after the 2012 Final. Jack Pemberton, who chaired the FEI Driving Committee form 1995 to 2003, has been involved with the FEI since 1968 and has made a huge impact on equestrian sport. He has been involved with over 20 equine associations in his life. He was made a life member of the British Horse Society and the Canadian Combined Driving Association. In 2007 Jack Pemberton was the inaugural recipient of the Equine Canada Lifetime Achievement Award. 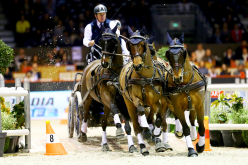 According to the scoring system introduced for the FEI World Cup™ Driving Final in 2012, 50% of the score differential between each driver and the leading driver from Competition 1 on Saturday (converted into seconds) will be carried forward by that driver into Competition 2 on Sunday. Scores from the first round on Sunday will be carried forward by the top 3 drivers into the Drive Off.